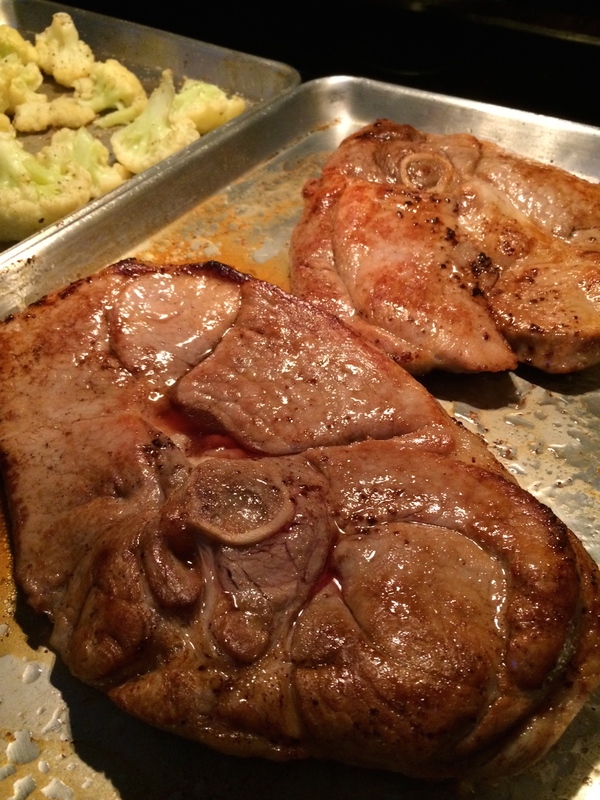 What to do with that fresh ham steak?? Last year when we butchered our first batch of pigs, we kept the ham fresh because the butcher used nitrates in curing and that is something that we don’t want in our food so we decided that we’d cure it ourselves. It was a BIG ham and we’d never done anything like that before. Long story short, because it was so big, the cure didn’t penetrate through the whole thing and only the outer 3 inches tasted like ham, the rest like a delicious pork roast. No harm, no foul…it was still delicious. Just not “ham” as we know it. Fast forward to this year with a new butcher (still nitrate curing) and fresh ham steaks vs. a whole ham. 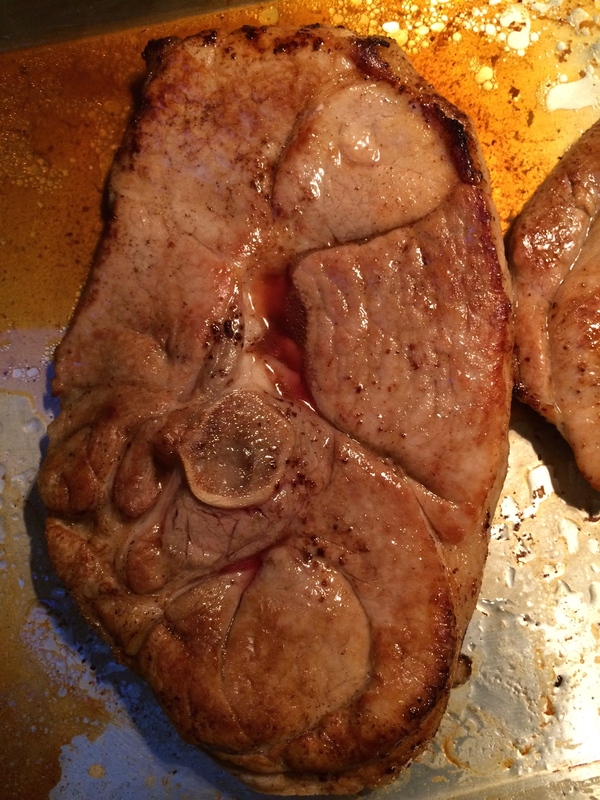 2 of the ham steaks I threw in the crock pot with apples and onions and they were good, but drier then I’d like. This week I pulled out the last 2 steaks and decided to try curing them, again. Mix it all up until the sugar and salt are dissolved. Put in the ham steaks in and made sure that they stayed submerged (you can weight it down with a plate if you need to). Place it in the fridge for about 24 hours. After 24 hours, rinse the brine of well. Dry off the ham steaks very well. Pan sear the steaks in a frying pan with some butter or even better bacon fat!!! Mmmmm.. When they are browned on both sides, place the pan (make sure it is oven safe) in the oven for about 20 minutes. Depending on the thickness of the steaks, it may take longer or less time to cook. Make sure your pork is 145 degrees in the thickest part. Pull out of the oven and let rest for a few minutes…then eat!! Yummy!! I served this with sliced potatoes roasted in bacon fat and sea salt and steamed cauliflower finished in the oven. The kids gobbled it up and the hubs was in awe of the impromptu ham experiment.